Having an in-depth understanding of your customer for firm wide strategic alignments is integral when undergoing operational change. 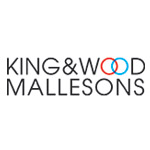 In 2018 King & Wood Mallesons implemented a new CRM process and client strategy to grow the business and improve functions. Anna Szabo, Head of Business Development Operations, will discuss how she has worked to ensure efficiency within the firm’s processes, and what’s next for Phases 2 and 3. Check out the incredible speaker line-up to see who will be joining Anna.